Nugasewana Eden & Restaurant is located at Tangalla one of the finest beach location in Sri Lanka. "NUGASEWANA EDEN" located on a beautiful garden over looking the magnificent view of the TANGALLA bay. Nugasewana Eden Guest House & Restaurant is located at Tangalla one of the finest beach location in Sri Lanka. its 195KM post along from Colombo - Tangalla Motor way only 500meters from the southern city of Tangalla. Its 195KM post along from Colombo - Tangalla Motor way only 500meters from the southern city of Tangalla. We will be waiting for you upon your arrival at the airport, provide you with perfect hospitality and more than you can imagine, and see you safely back to the airport following your unforgettable experiences in Sri Lanka. 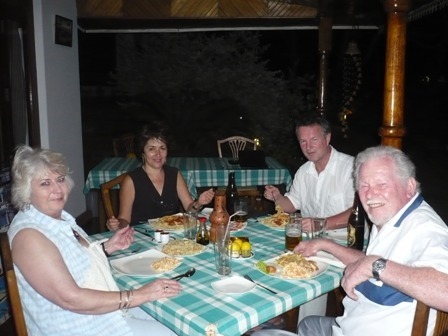 AMONG THE MANY UNIQUE CHARACTERISTICS OF THE PLACE IS THAT ALL THE FOOD IS HOME MADE AND THE MANU IS BE A COLLECTION OF EASTEN AND WESTERN DISHES WITH HOME STYLE COOKING PREPARED FROM WITH DAILY PURCHASED FRESH SEA FOOD.